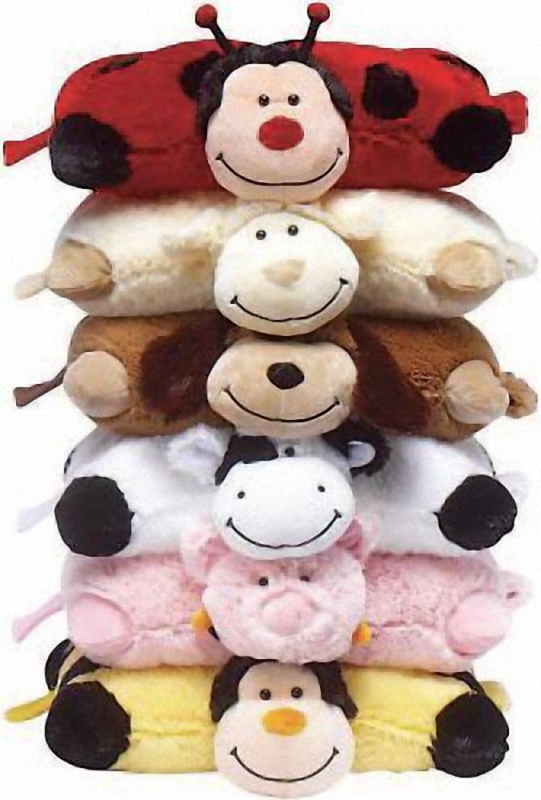 What a great idea – a combined soft toy and travel pillow in one! The ultimate soft toy cushion. With the velcro strap fastened, you have a great looking soft toy. With a simple flip of the velcro strap, the furry soft-toy flattens out to become a luxuriously soft pillow to rest the weary head whilst travelling. Suitable for all ages and are the perfect travelling companion for long journeys. Hand washable. Measures approx. 35 x 20cm (14 x 8 inches) when opened flat.